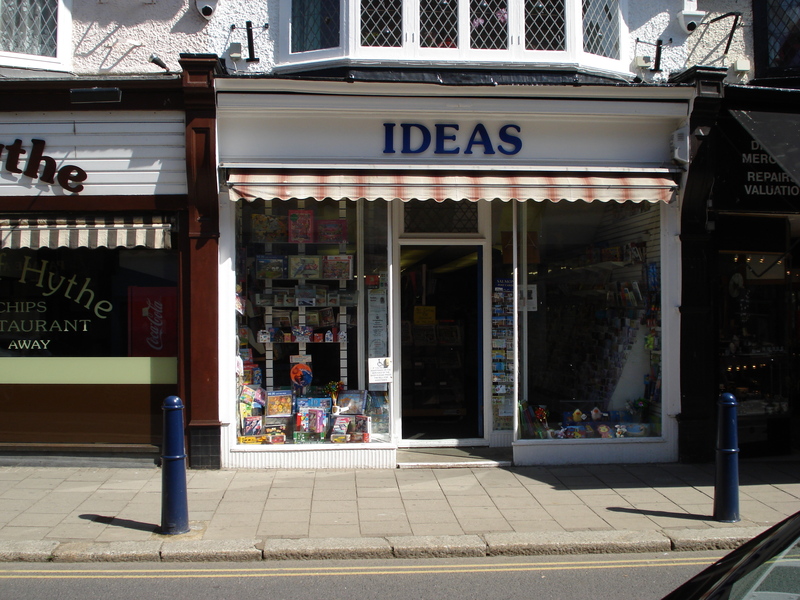 In mid-1912 this shop at 83 High Street, Hythe- now occupied by ‘Ideas’ – opened as the local Suffrage Shop and Club, run by Miss Georgina Cheffins and Miss Eva Lewis, who, although members of the WSPU, were Kate Frye’s most active supporters in the area as she went about her business of organizing meetings for the New Constitutional Society for Women’s Suffrage. I visited it myself in the summer of 2011 and found that the shop is quite large and, as Kate Frye describes, has a room at the back in which the Suffrage Club held its meetings. Georgina Cheffins (1863-1932) was the daughter of a Portland cement manufacturer. and In the 1901 census, when she was living with Eva Lewis in the St James’s Mission, Temple Street, Sedgley, Cheshire, they are both described as ‘lay sisters’. Eva (Evangeline) Lewis (1863-1928) had been born in Ontario, Canada, the daughter of John Lewis, Lord Bishop of Ontario. She lived with Georgina Cheffins, who was very much the wealthier of the two, from some time before 1901 until her death. Both women successfully evaded the 1911 census and in 1912 Miss Cheffins was sentenced to four months’ imprisonment after taking part in a WSPU window-smashing raid in London – breaking windows in Gorringes’ store. In court she declared she was a suffragist by conviction, having worked amongst the poor for 20 years. 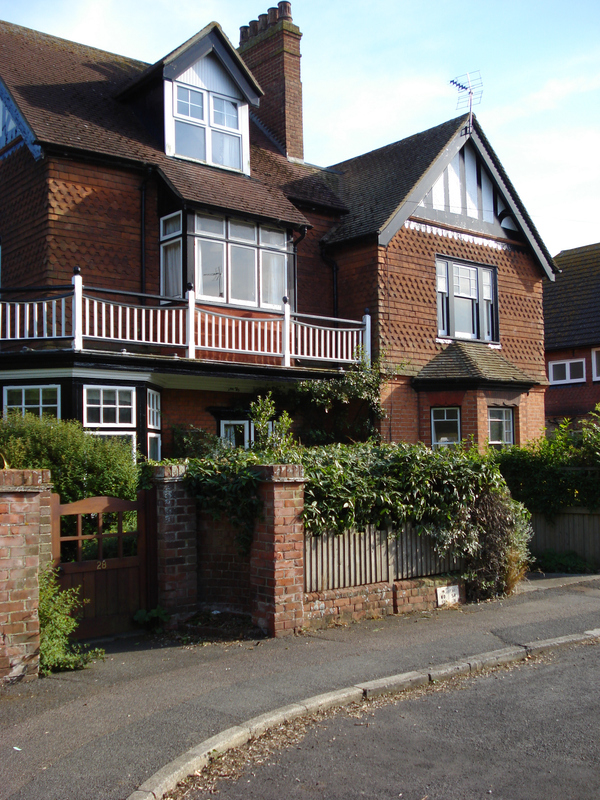 When Kate first met them the two women lived at ‘Dunedin’, Seabrook Road, the long road connecting Hythe and Folkestone, but in early 1912 they moved to ‘Cravenhurst’, Napier Gardens, Hythe. When I visited Hythe in 2011 I did not know which house in Napier Gardens had been ‘Cravenhurst’ – and it is only today that I have found a piece of information that links the name of the house to a number – 24 – which is ,I think, opposite the house below – one of several in the street that I photographed at random. Anyway, I think no 24 was at the more secluded end of the cul-de-sac that is Napier Gardens . In the summer of 1912 Votes for Women, the WSPU newspaper, reported that the Hythe Suffrage Shop had been visited by many WSPU members on holiday in the area – and that many volunteers had been out selling copies of the paper. Campaigning for the Vote: Kate Parry Frye’s Suffrage Diary is full of details of the delights – and tribulations – of spreading the ‘Votes for Women’ message in Hythe. Although Miss Cheffins and Miss Lewis could on occasion be prickly, Kate kept in touch with them well into the 1920s. This entry was posted on August 9, 2013, 9:05 am and is filed under Kate Frye's suffrage diary. You can follow any responses to this entry through RSS 2.0. You can leave a response, or trackback from your own site. I wrote “in general” about in Suffragette shops: ideal business experience for women. But you have made one shop much more “personalised and local”.. which is the best way to study women’s history. I am very pleased you found a room at the back in which the Suffrage Club held its meetings.. and perhaps where the women made some of the objects they were going to sell. And you could get even more glances into this and at least one other suffrage shop in the book itself – ‘Campaigning for the Vote: Kate Parry Frye’s Suffrage Diary’! We own the medal awarded to Georgina Cheffins for her imprisonment in Holloway prison.We consider it an honor to have the medal. It is treasured .